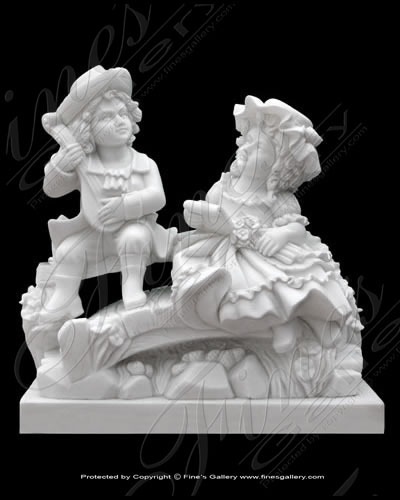 This delightful sculpture depicts two young children dressed in colonial era clothing sharing each others company and their love of music. He plays the lute to her while she sings to him. The piece is hand carved in a stunning white marble. 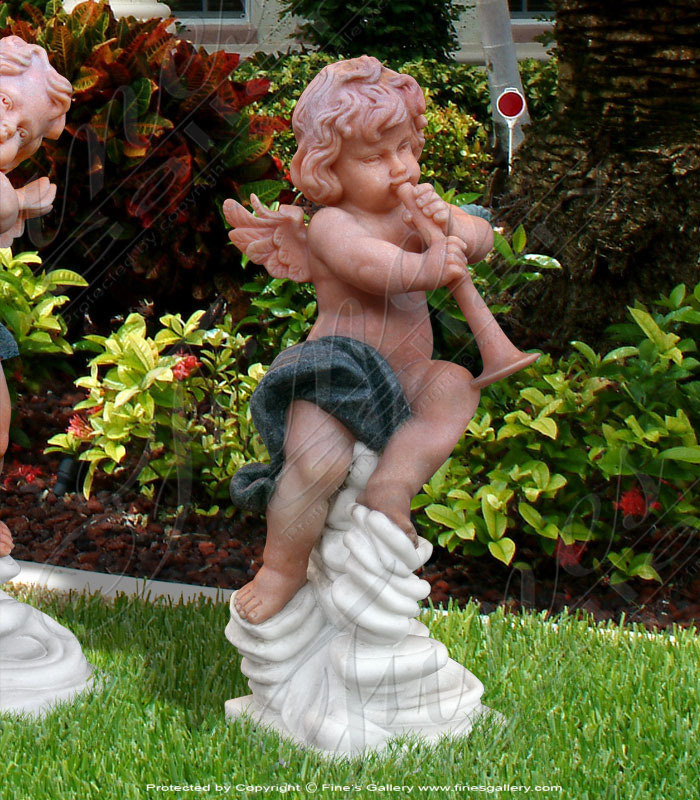 This delightful statue depicts a cheerful cupid playing the horn. The base of the sculpture is hand carved from white marble, the cloth from a green marble, and the body from a light red marble. A fine piece of luxury.